Been having trouble with my B string! (There are actually two strings that make up the B, a ninth below middle C). 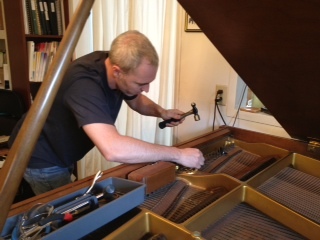 Ben Webster, my piano technician/tuner, to the rescue, with a new tuning pin for one of the strings (tuning pins hold the strings in place). 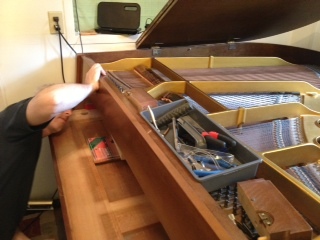 The “action” of my piano. 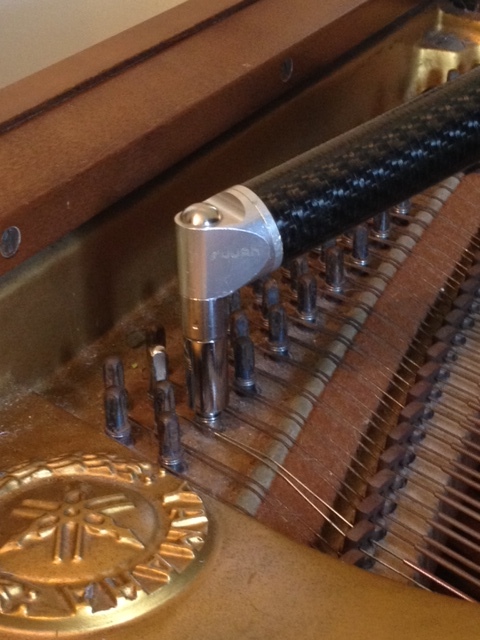 Ben’s groovy new tuning hammer on the new pin. 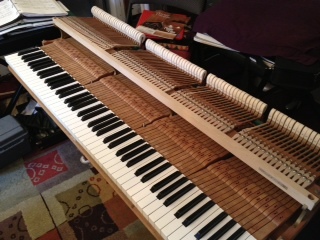 ← Welcome to the Cape Ann Piano Studio!